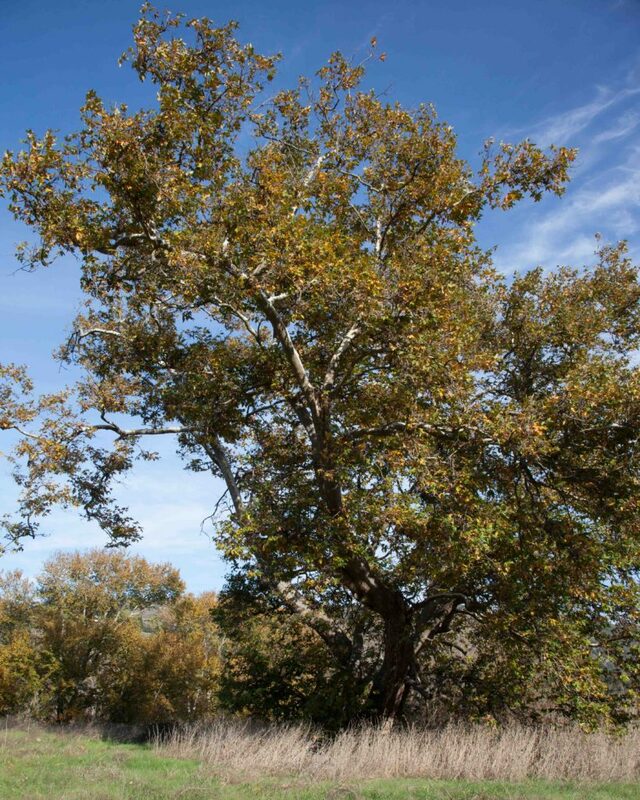 Generally found near streams or riparian corridors, this is a striking tree with a stout trunk producing many crooked, irregular branches. The tree is deciduous. It can be identified by three particular features. 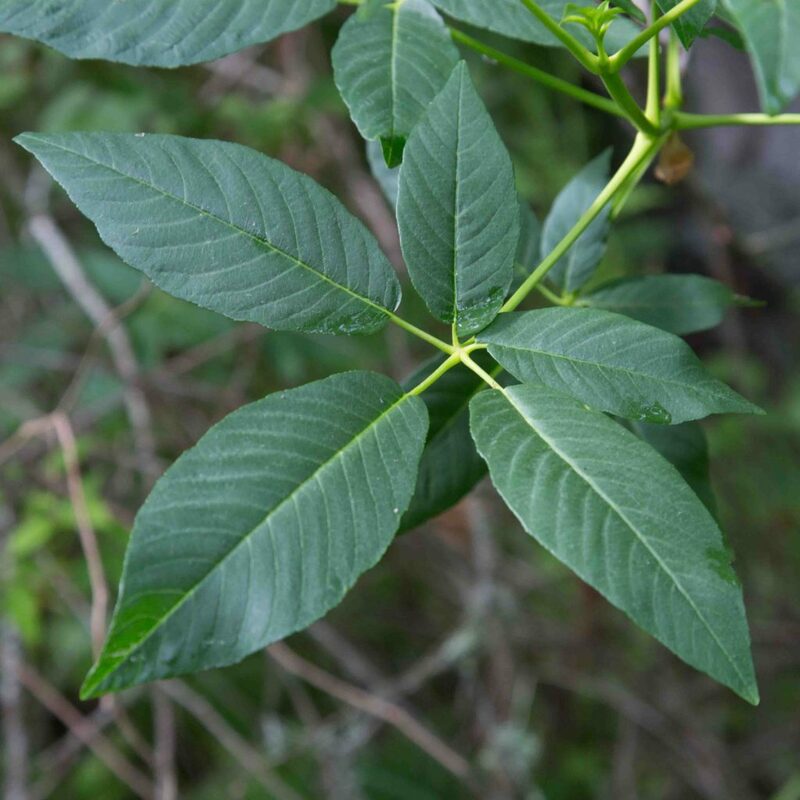 First it has large, 3 or 5 lobed leaves with a short petiole and densely tomentose on the underside. 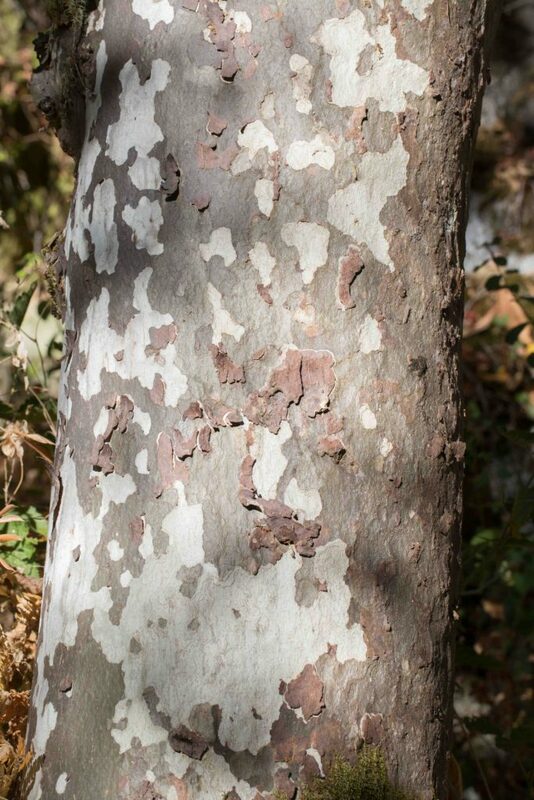 Secondly the outer bark tends to peel leaving blotchy smooth areas of inner bark in varying colors, the dark, fissured outer bark is often found only near the base of the main trunk. 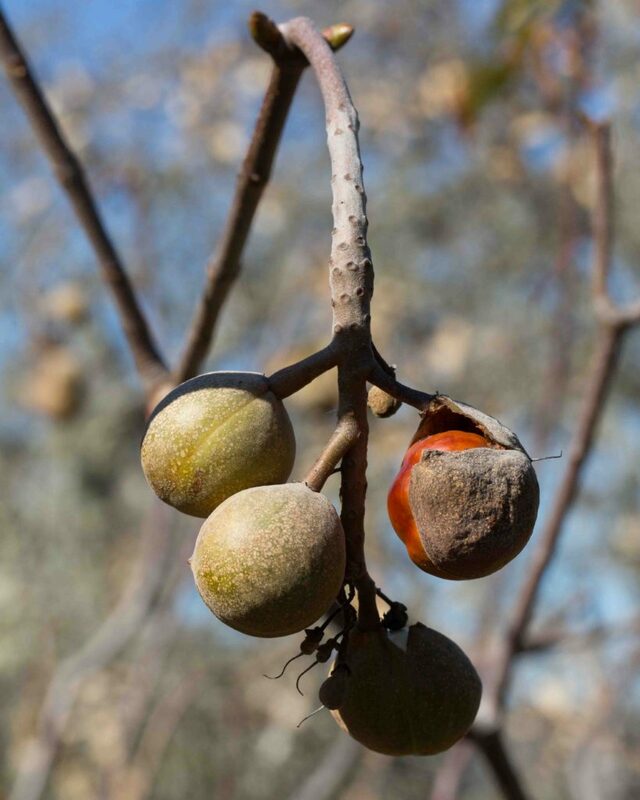 Thirdly, the flowers and fruits are in 1–7 spherical heads, evenly spaced on the pendulous stem. 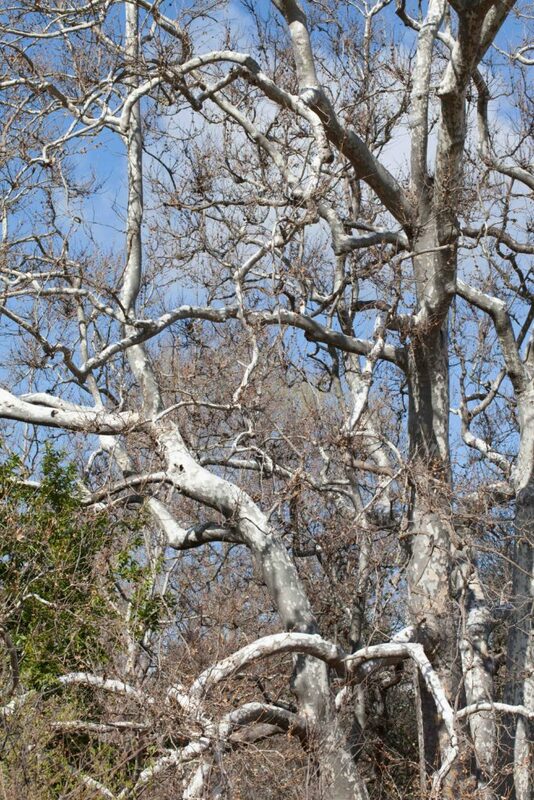 European visitors may be confused by this tree since it looks so different from the European Sycamore. 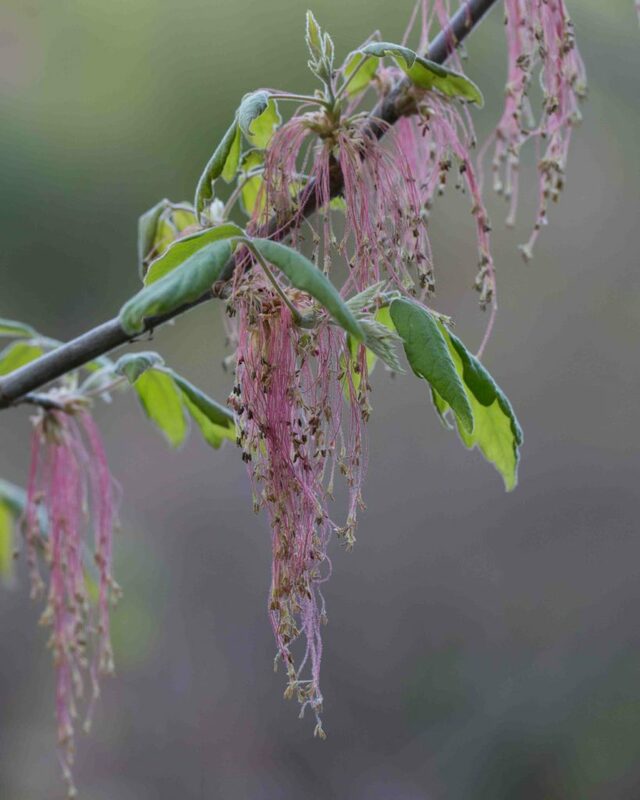 This is actually an Acer (Acer pseudoplatanus) and the genus Platanus is most commonly represented by the London Plane which adorns so many streets and squares in London. 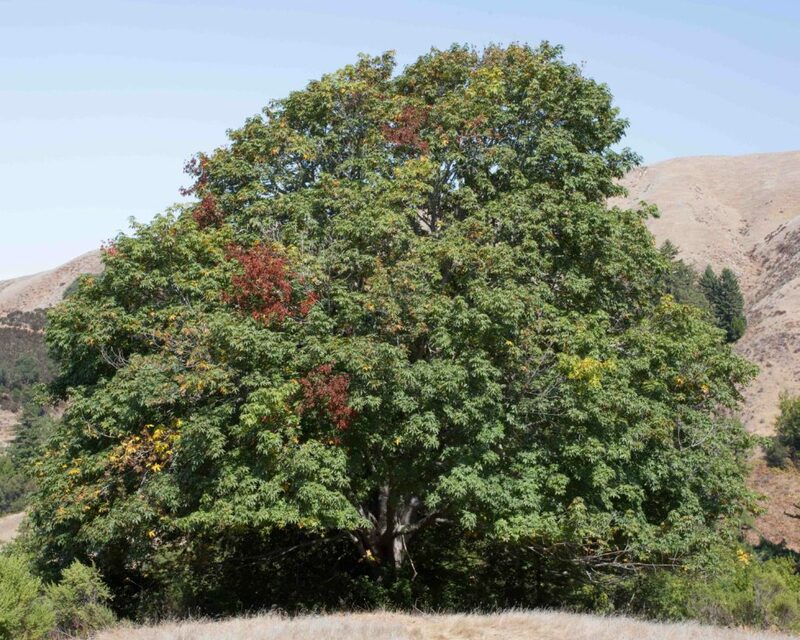 This fine tree is monoecious and deciduous and one of the few that provides genuine fall color, even if not quite up to New England standards. 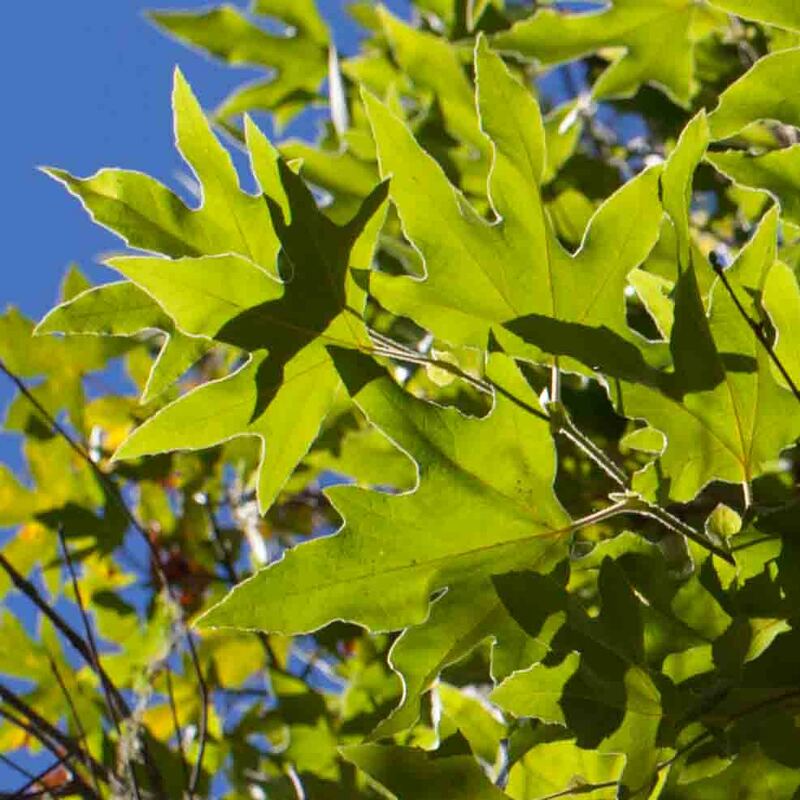 It is most easily identified by its leaves which while large, tend not to be as large as the authorities suggest and are rarely any larger than the leaves of California Sycamore with which they are often confused. There are several distinct differences (see the 4th photo). 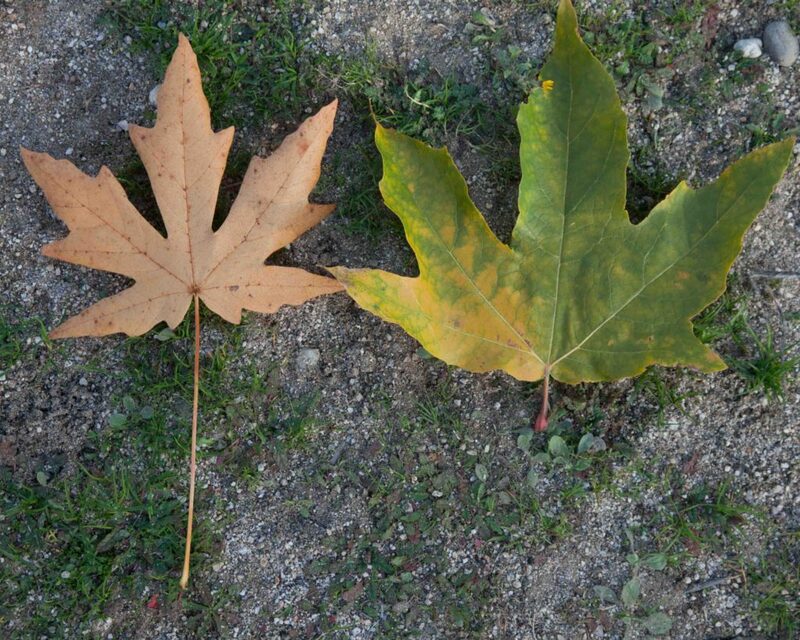 First, the maple leaf has a much longer petiole. 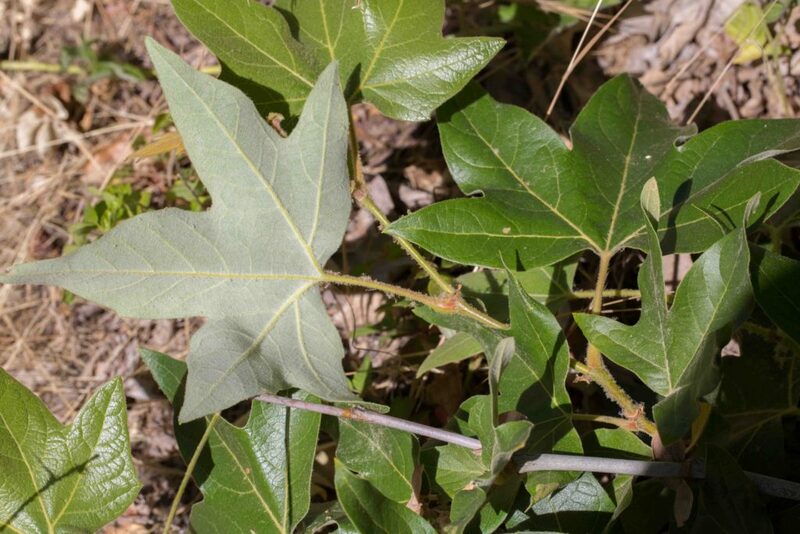 Secondly, its main veins all radiate from the point where the petiole meets the leaf blade (the two lowest lobes on the Sycamore leaf have veins splitting off from the adjacent lobe). 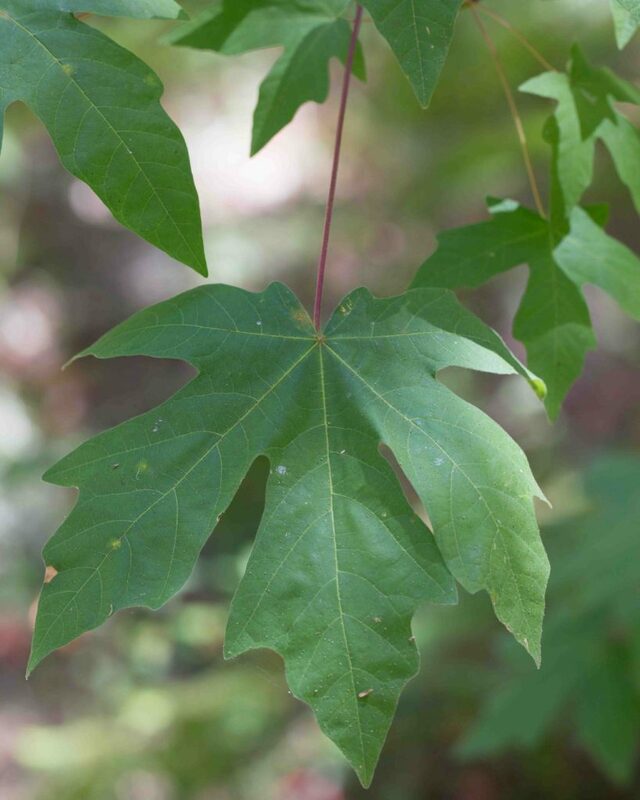 Thirdly, the underside of the maple leaf is glabrous, not tomentose. Fourthly, it is always clearly 5-lobed and the lobes are more diamond-shaped than triangular. 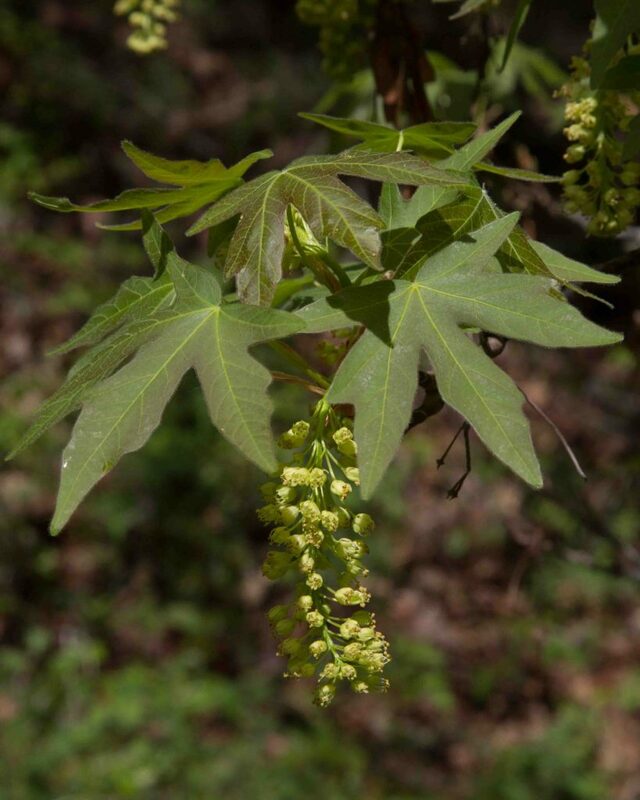 The maple’s flowers and fruits are also quite different, the fruits being winged samaras. 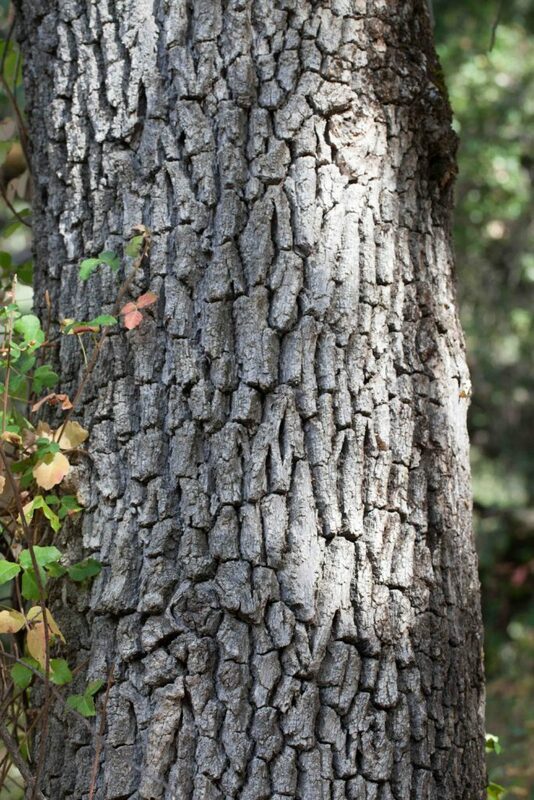 Lastly, the bark is dark brown and deeply fissured in mature trees. 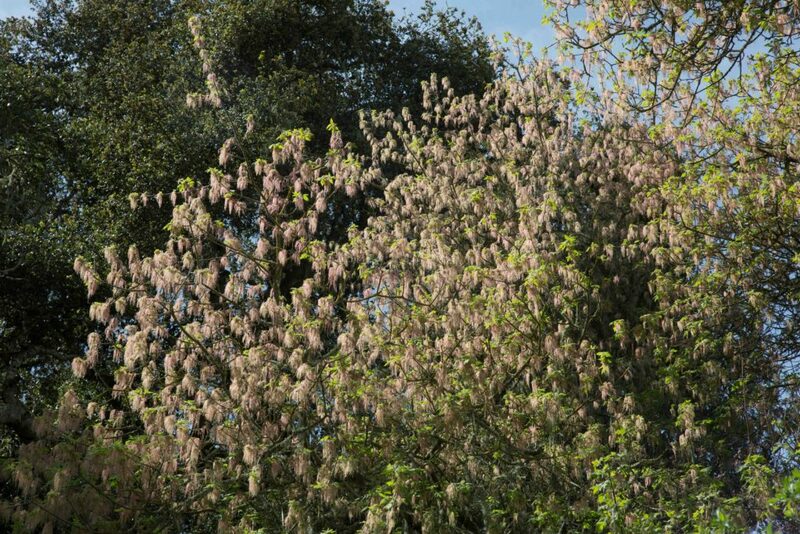 This monoecious and deciduous tree can be easily overlooked but the male trees produce beautiful displays of flowers in March–April. 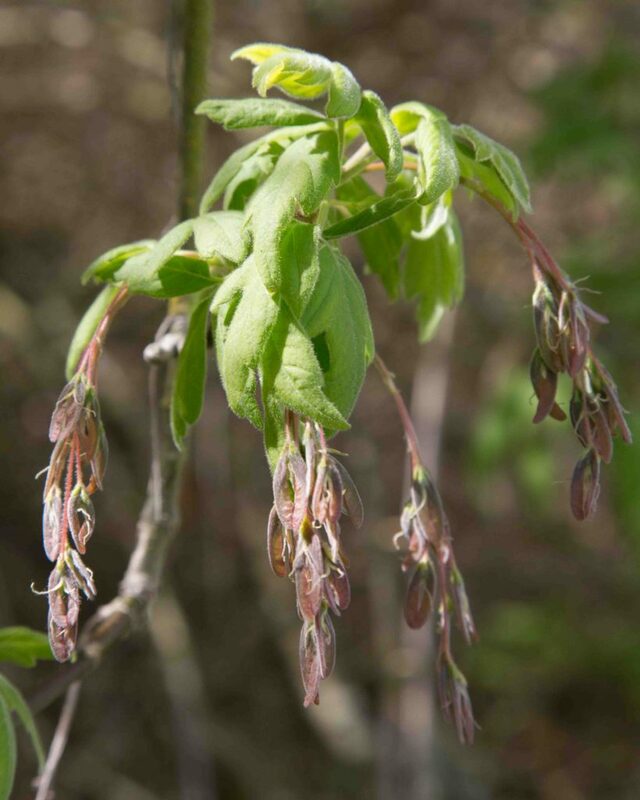 The female flowers are less conspicuous but the incipient fruits (in the form of paired samaras) are clearly visible. 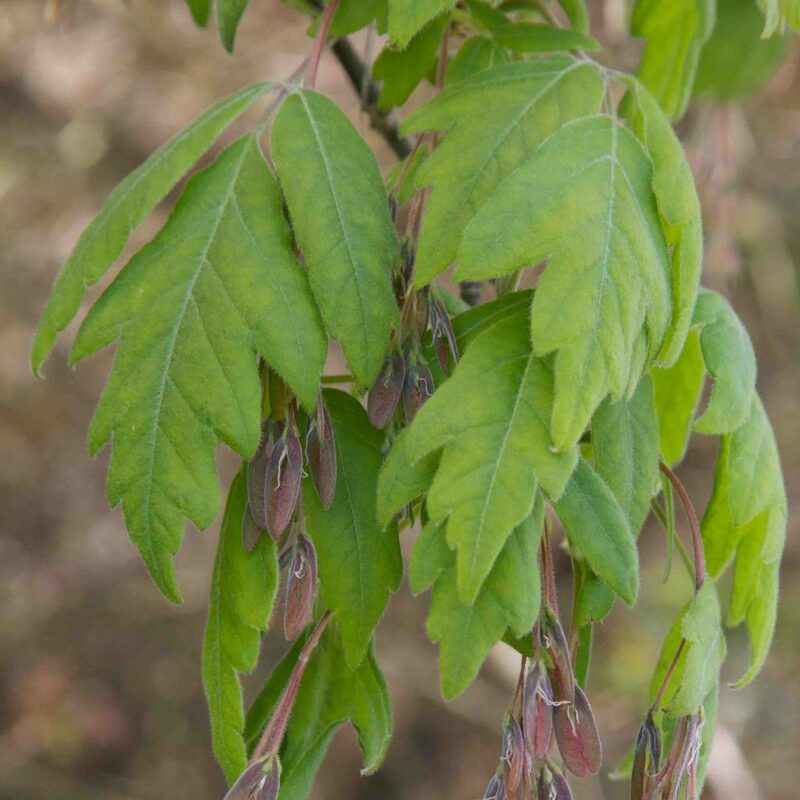 The leaves are somewhat maple-like but differ from the normal maple leaf in being pinnately compound with 3–5 (sometimes 7) leaflets rather than simple and palmate like the Big-leaved Maple (Acer macrophyllum). 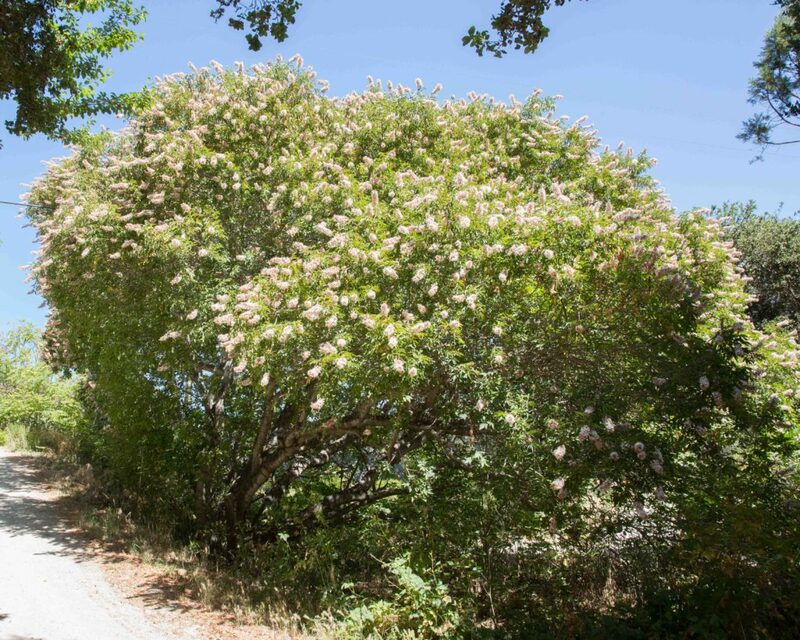 This is one of the most distinctive trees found in the county, particularly common in the Monterey Peninsula. 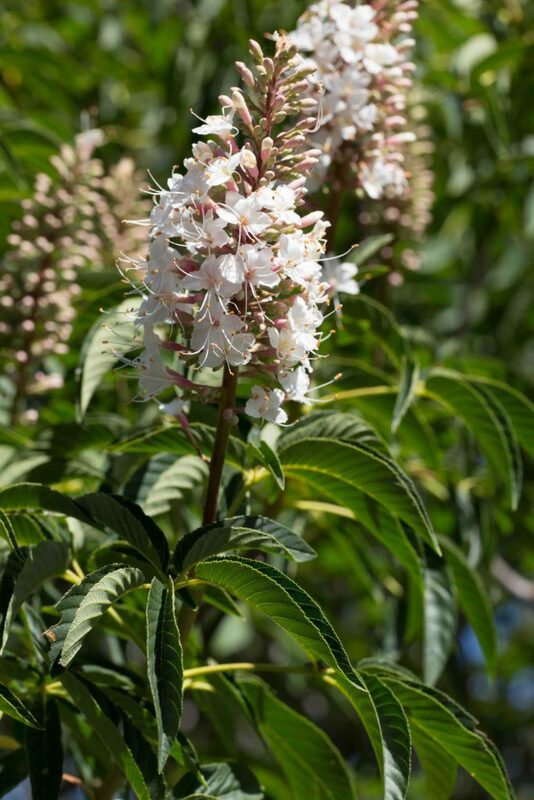 It has striking flowers, pinkish-white, in erect 15–25 cm long spikes. Butterflies seem to love the flowers but they are toxic to Asian and European honeybees. 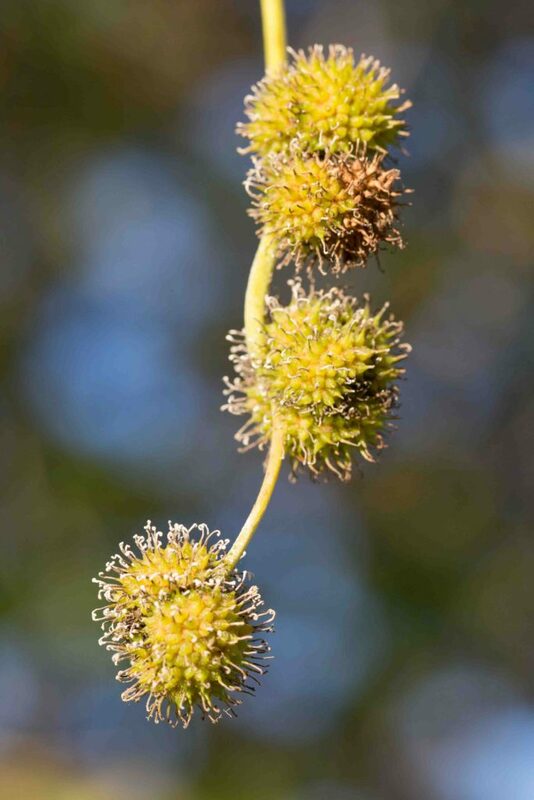 Fruits develop slowly over the summer months, becoming large brown capsules 5–8 cm across, with a felty outer husk which splits open to reveal the large smooth seed inside (similar to the related European Horse Chestnut (Aesculus hippocastanum)). 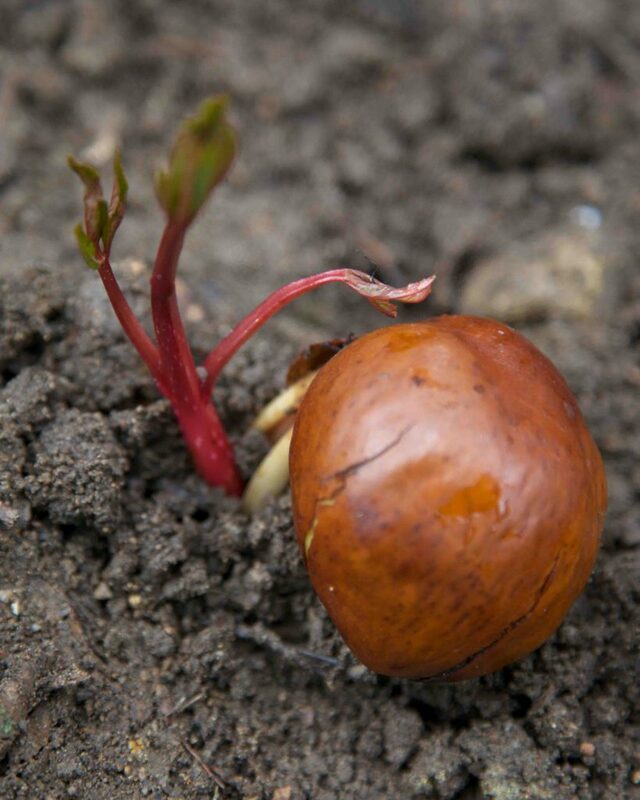 These seeds readily germinate when conditions are right. 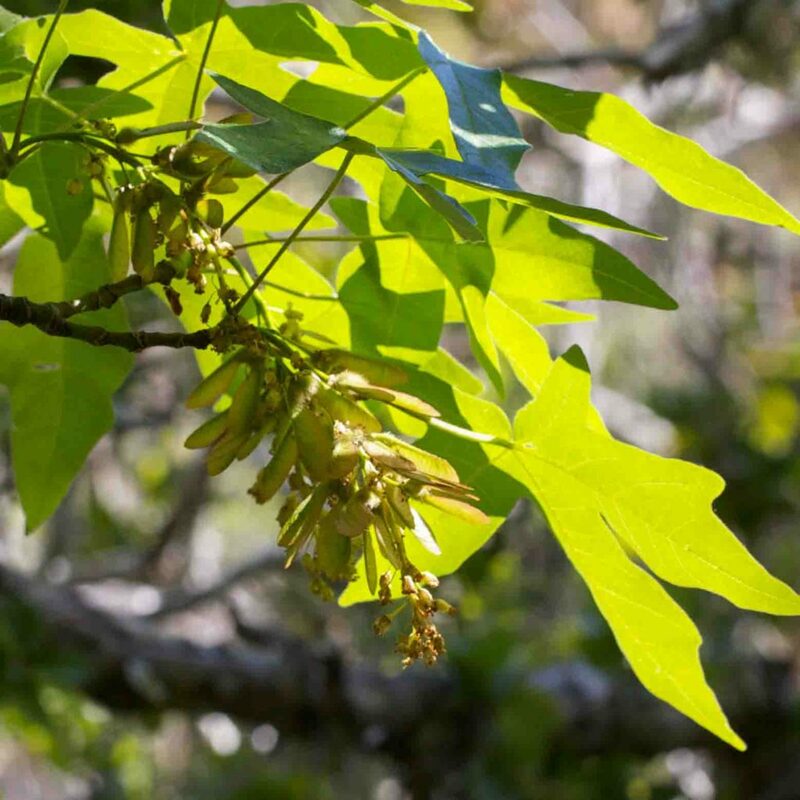 The leaves are palmate with 5–7 lance-oblong leaflets, each 6–17 cm long. 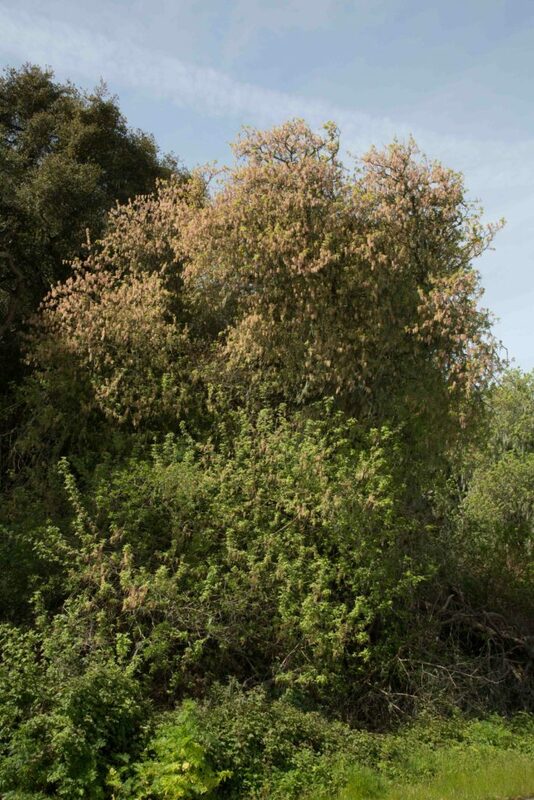 The tree is summer-deciduous, losing its leaves in late summer in an interesting adaptation to the dry conditions typical of the Californian summer and fall.